When one thinks of shopping in Cabo San Lucas, the immediate image is probably of a generic Mexican souvenir shop, the sort of place where vacationers stock up on sombreros or t-shirts with clever, locally-themed slogans. Those kind of souvenir shops do still exist, particularly on the “cruise ship circuit” around the Cabo San Lucas Marina boardwalk promenade. But don’t let the touristy hustle and bustle fool you. The Los Cabos shopping scene as a whole offers much more than curios and trinkets, and indeed has grown increasingly sophisticated over the past two decades. Nowadays, residents and visitors alike can browse in a diverse range of shops and shopping centers, the former ranging from custom clothing and swimsuit boutiques to art galleries, jewelry stores, furniture outlets, organic and specialty grocery stores, luxury boutiques boasting name brands like Chanel and Dior, and outlets of popular multipurpose U.S. chain stores like Walmart, Costco and City Club. 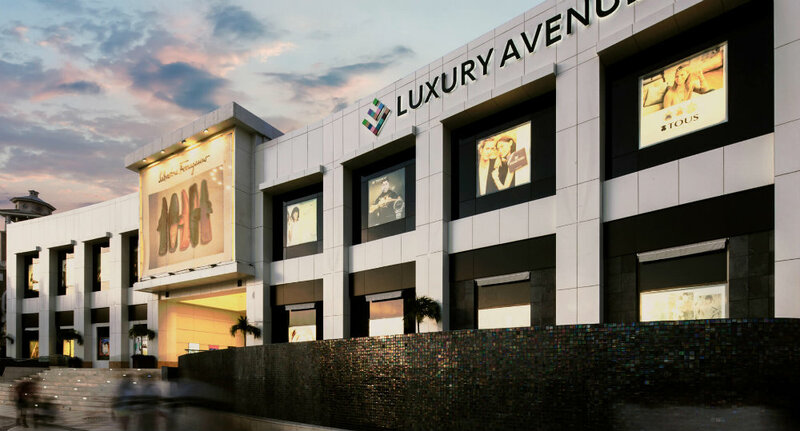 Who doesn’t love a good mall, the kind of place where you can shop, eat, see a movie, then shop some more? Puerto Paraíso on the Cabo San Lucas Marina has long been the signature local shopping center, with all of the above attractions plus access to the adjacent Luxury Avenue, home to a host of iconic upscale purveyors of clothing and accessories. 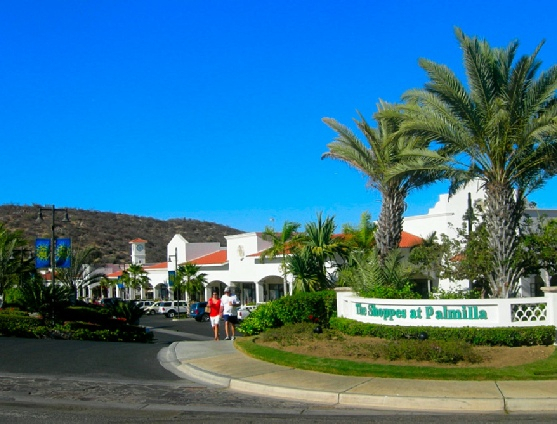 The Shoppes at Palmilla, located just outside San José del Cabo, also draws discerning shoppers with a retail directory that includes custom furniture and décor, arts and crafts galleries, fine food, and other boutique attractions. 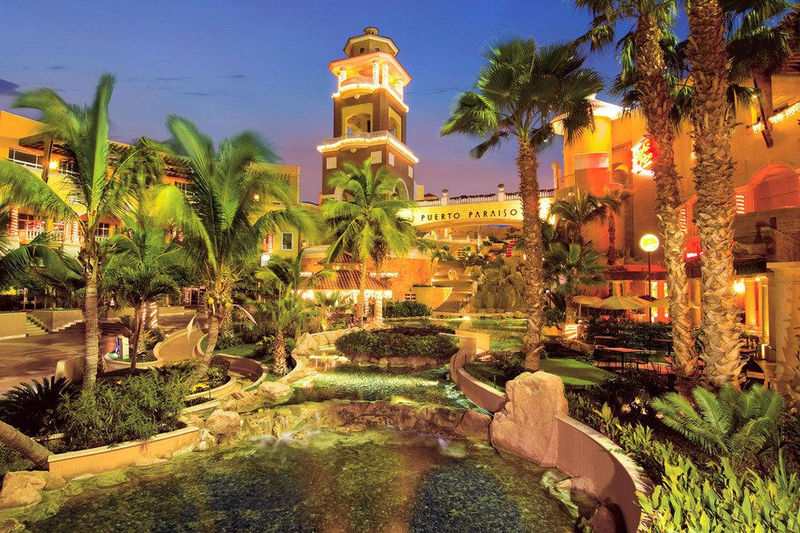 The large mall at Patio Los Cabos, meanwhile, is a favorite of Cabo San Lucas residents, as is Plaza San Lucas, the latter home to Walmart and other popular retail stores. The best shopping in Los Cabos may well be found in San José del Cabo’s historic Distrito del Arte, where cobblestone studded streets are framed by an eclectic variety of galleries showcasing regional artists, as well as handmade pottery and custom jewelry from artisans around México. This charming and colorful shopping district features the best examples of sought-after commodities like Talavera and Mata Ortiz pottery, Taxco silver and Mexican fire opals, not to mention paintings, sculpture, photography, printmaking and other fine arts. For a real treat, stop by on Thursdays between 5 and 9 p.m. during high tourist season (November through June), when a weekly Art Walk event welcomes residents and visitors to browse the various gallery exhibitions, and to chat with gallery owners and notable local artists. A few decades ago the grocery offerings in Los Cabos were so limited that residents often drove to La Paz once a week to stock up. That’s not an issue anymore. If anything, there are almost too many options. In addition to Walmart, Costco and City Club–all of which have well-stocked grocery departments–there are local outlets of large Mexican supermarket chains like Soriana, LaComer (large stores in each of the cape cities, plus a specialty Fresko supermarket–Fresko Palmilla–with a focus on fresh produce and baked goods) and Chedraui (including an impressive new upgraded Chedraui Selecto store in San José del Cabo, with another coming soon in Cabo San Lucas), as well as weekly organic markets in both of the cape cities. Not just grocery and sundries, but specialty shops of all kinds can now be found, from wine shops and cigar stores with walk-in humidors to custom clothing and beachwear boutiques for women like Pepita’s Magic of the Moon. 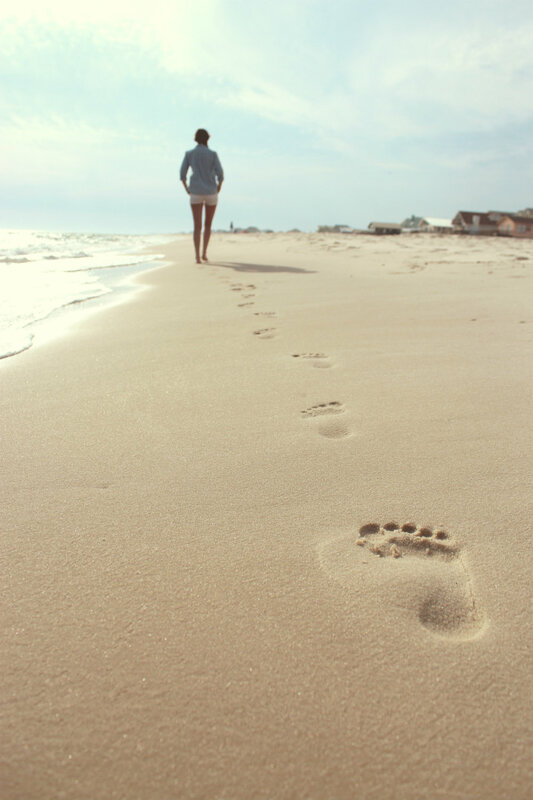 Fact is, you don’t have to walk very far in today’s Los Cabos to find something worth buying. Or even walk at all, since Walmart and many other local stores now offer delivery service. See? We told you the Los Cabos shopping scene had grown a little more sophisticated. Windermere is one of the most respected names in North American real estate, with over 300 offices and 6,000 agents in the Western U.S. and México. 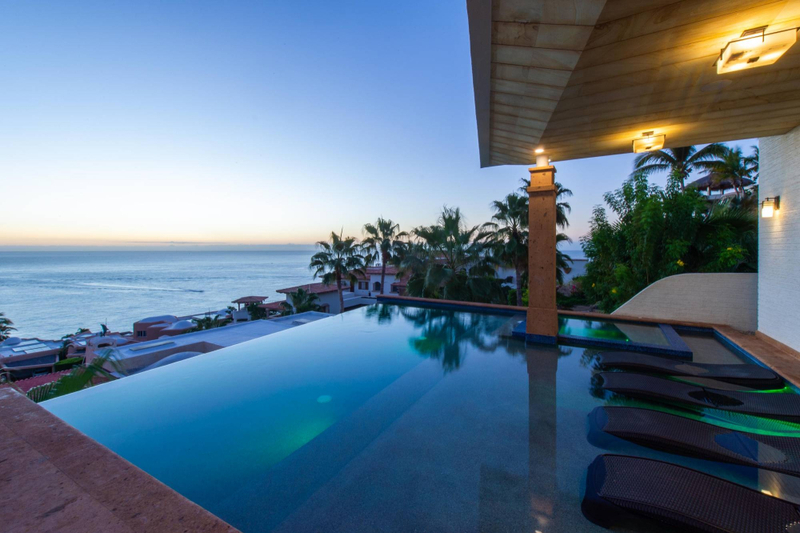 The company has deep roots in Los Cabos, where its agents have over 100 years of collective experience, as well as an exhaustive knowledge of available local listings and the intricacies and legal requirements of buying and selling property in México. 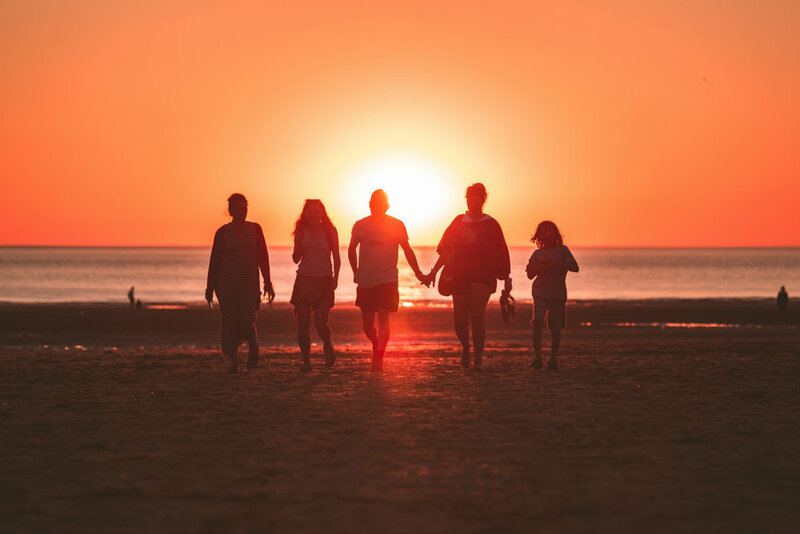 Americans and Canadians who buy property and live at least seasonally in Los Cabos will find all the beaches, sunshine, margaritas and ocean views they’ve ever dreamed of, but along with this natural bounty and muy atractivo lifestyle comes a few cultural changes. More commonly, miscommunications involve financial transactions; from exchange and interest rates to bank statements and credit card disputes. Nobody, after all, wants there to be any confusion or incomprehensible fine print when it comes to their bank account or credit cards. Which leads to the very good questions: Do you even need a Mexican bank account or credit card in Los Cabos? What are the pros and cons? 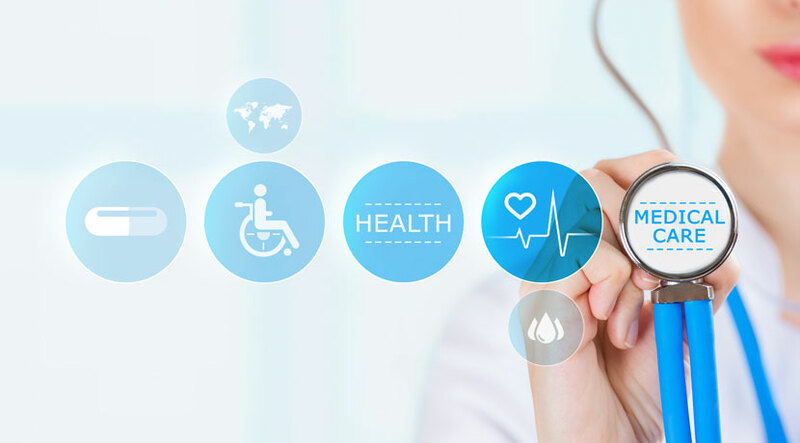 There are very good reasons to open a bank account in Los Cabos if you intend to spend an appreciable amount of time in the area, starting with the fact that you can trade dollars for pesos–and vice versa–without a questionable exchange rate or service charges. U.S. dollars are accepted everywhere in Los Cabos, but many area businesses set their own exchange rates, meaning it’s preferable to pay in pesos to avoid being overcharged. U.S. credit cards are accepted virtually everywhere, too, so why add to your U.S. collection with a Mexican credit card? 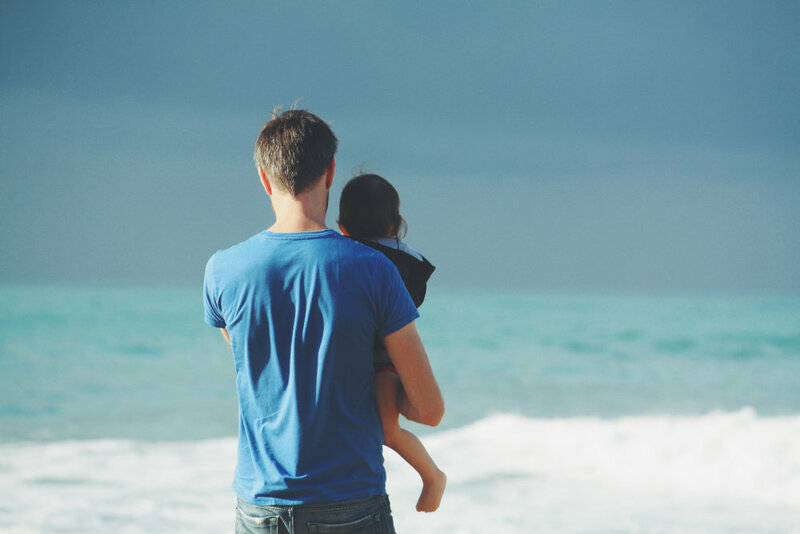 The truth is that those who intend to maintain a presence in their country of birth–property, bank accounts and the like–likely do not need a Mexican credit card (In Spanish, tarjeta de crédito). 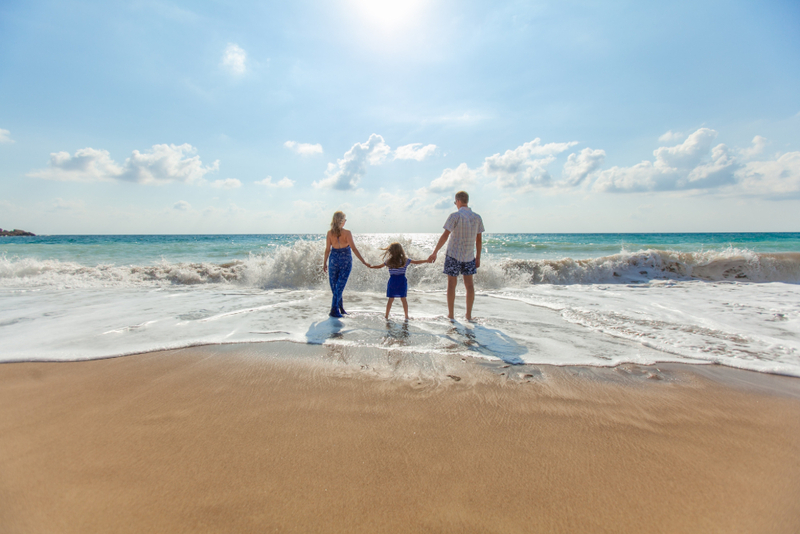 However, if you intend to move seasonally or full-time to Los Cabos, then it will be handy to have a Mexican debit card that you can use to access money from ATMs (in Spanish, cajeros automáticos), pay bills and utilities, make retail and online purchases, and so on. You may also want a credit card–particularly if your U.S. issued card charges foreign transaction fees–but as we’ll discuss in the “Cons” section below, there are definitely some issues to consider. The safest and best bet is thus to go debit card only. Just keep in mind that you will need a residente card and proof of residence to open a bank account, and that bank to issue you a debit/credit card. If you deposit several thousand dollars or the equivalent in pesos into your new account, banks will usually be happy to issue you a credit as well as debit card. These cards are issued in conjunction with Visa or MasterCard, but in case of loss, theft or fraud, you will need to make the report to your Mexican bank rather than the multinational credit card company. Speaking of theft and fraud…those two issues do occur in México–as they do in every country–and are particularly prevalent in popular tourist destinations like Los Cabos. Restaurants and gas stations tend to be the places where credit card information is stolen with a higher frequency, so make it a point to pay cash in those instances and it will significantly reduce your risk profile. Fraud isn’t limited, however, to credit card thieves. 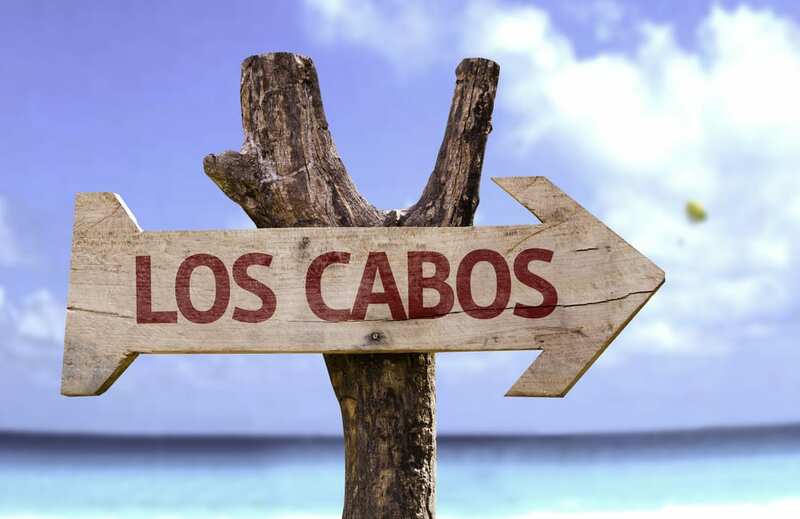 Many U.S. and Canadian transplants have reported issues with bank fraud in Los Cabos, from unilaterally hiked interest rates on credit cards to limited liability in covering losses from stolen card charges. Exorbitant interest rates and annual charges are also things likely to cause consternation to first-time holders of Mexican credit cards. Make sure you understand the terms before you accept a credit card from your bank, and check charges on a monthly basis. You do not want to be paying interest rates that may be in excess of 30%. It sounds bad and sometimes is, but keep in mind there are ways to mitigate or limit issues with Mexican banking. The first is to eschew credit cards in favor of debit cards, since the former may require paying back fraudulent charges until the claim is resolved. Lost or stolen debit cards are harder for thieves to use, since they likely won’t have access to the PIN number, although it should be noted that debit cards can often be used for point-of-sale purchases. Even more important is finding a bank where you feel comfortable with the communication skills and customer service quality. The local branch of Canadian owned Scotiabank, for example, is popular with many U.S. and Canadian transplants for these very reasons. 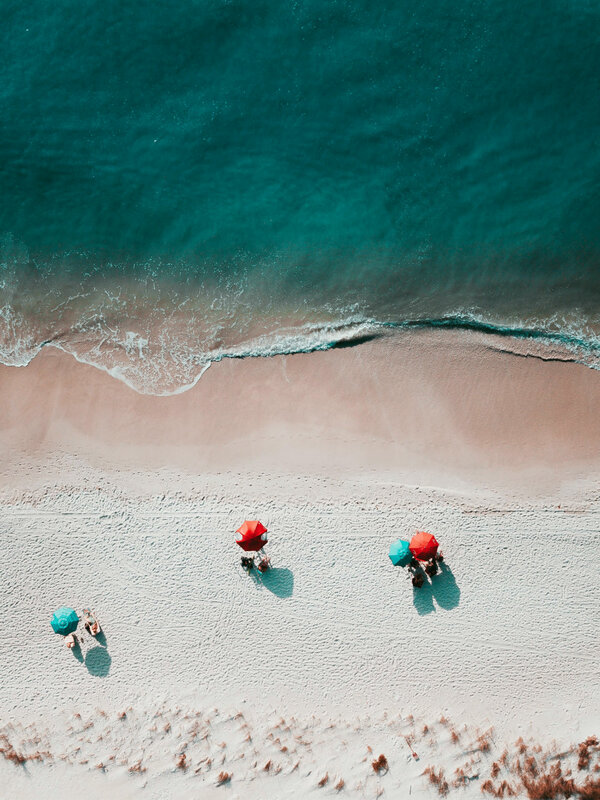 Banking services may not rival beaches, sunshine, margaritas and ocean views as reasons to move to Los Cabos, but be vigilant and aware of potential fraud and it won’t be a reason not to move. Only a lucky few ever discover exactly the right place at exactly the right time. 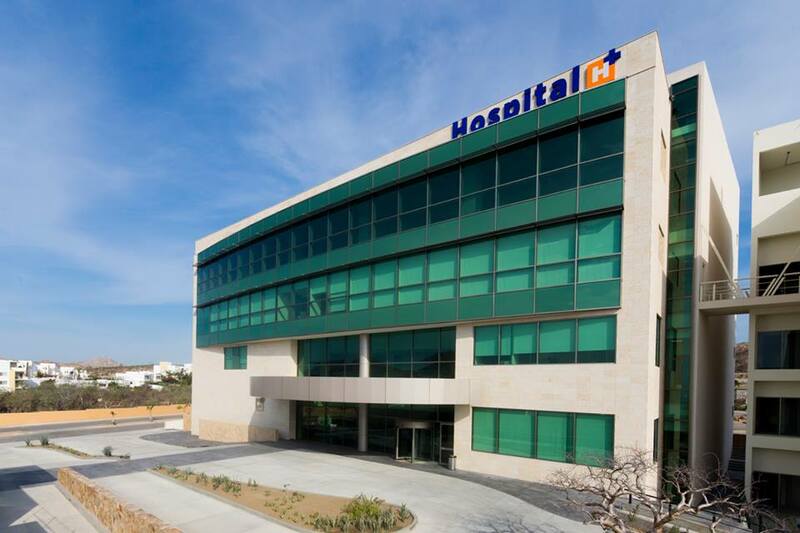 That’s the opportunity, however, that’s currently “knocking” in Cabo San Lucas, which along with sister city San José del Cabo is part of the picturesque Los Cabos municipality that hugs the southernmost rim of the Baja California peninsula. Blessed with year-round sunshine and boundless coastal vistas, this place–colloquially known as “Cabo”–is currently in the midst of an ongoing evolution: from sleepy fishing village to popular vacation destination to sought-after spot for secondary or year-round residences. 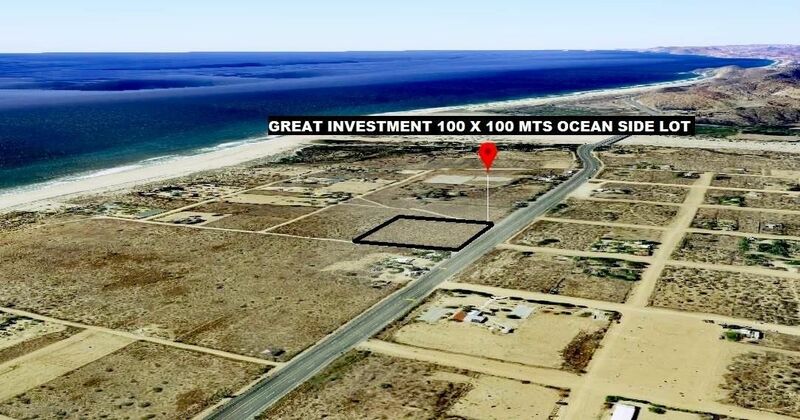 The final stage of this flowering is still in its early stages, and as a consequence, the Cabo San Lucas real estate market is booming, offering incredible opportunities for those who’ve happened upon their tropical paradise at precisely the right moment. 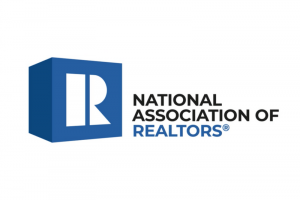 What’s the first rule of real estate? Location, location, location. Nestled between mountains, desert, beach and two major bodies of water–the Pacific Ocean and Sea of Cortés–Los Cabos as a region enjoys some of the most profoundly singular and profoundly beautiful settings on earth. These settings may share some scenic commonalities, but they are as wide-ranging in their unique vistas as the luxurious properties that are being built to take advantage of them. 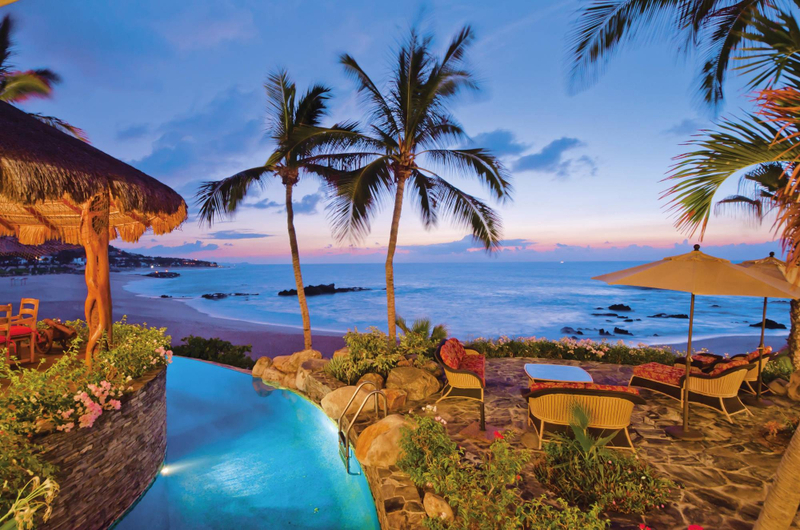 Imagine a luxury villa built into a sheer cliffside above crashing Pacific Ocean waves. Or a beachfront condo that looks out over the Sea of Cortes towards the granite monuments at Land’s End? Or a ranch home set in rolling mountain foothills amid organic farm-to-table restaurants? Or a four-bedroom family home overlooking both azure waters and the fairways of a golf course designed by a legendary champion? The Cabo San Lucas real estate market offers enough diversity in its properties and settings to appeal to virtually every taste…and to virtually every budget. Once upon a time, the attractions in Cabo San Lucas were limited to beautiful beaches and abundant big-game sportfishing. Nowadays, homeowners can sit down to sumptuous food and wine pairing dinners at restaurants helmed by celebrity chefs, shop at brand-name boutiques like Cartier or Fendi, or indulge themselves with pampering treatments at expansive and exhaustively-outfitted resort spas. 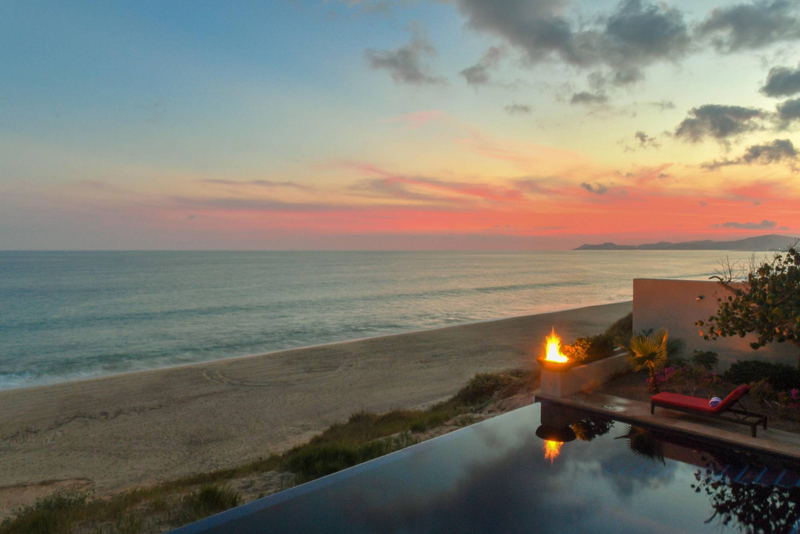 The wonder is not that Los Cabos boasts the sort of upscale amenities associated with world cities like New York or Paris, but that it also offers privacy, seclusion, pristine settings, and world-class conditions for a wide range of outdoor activities. Seasonal and year-round residents have convenient access to gorgeous hiking and biking trails; famed surf breaks; over a dozen championship level golf courses and counting; amazing offshore kayaking and stand up paddle boarding; windsports meccas for kiteboarding and windsurfing; off-road race courses; and some of the most jaw-dropping dive sites on earth, including the living coral reef at Cabo Pulmo. 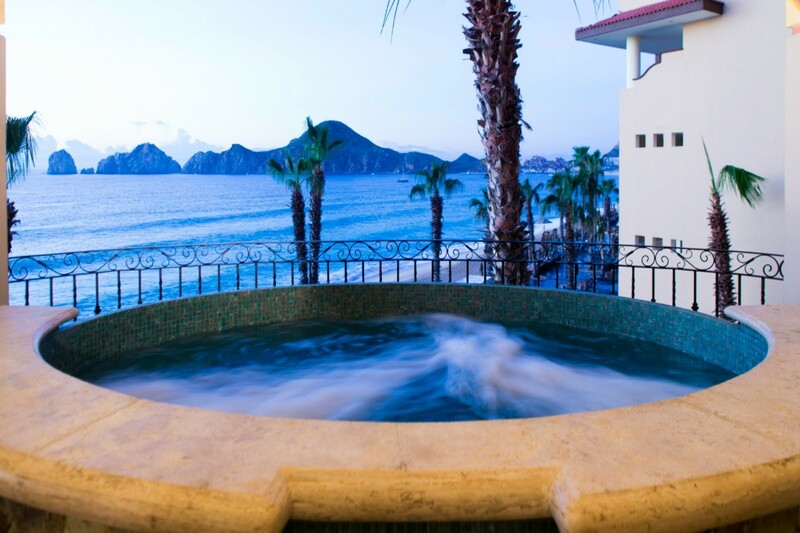 It’s this unrivaled combination of sophisticated upscale pleasures and healthy lifestyle attractions that are helping to drive current interest in the “Cabo San Lucas real estate market”, even apart from the obvious charms of the properties themselves. What’s better than a beachfront home or stunning ocean views from your scenically vantaged villa or penthouse condo? The former, but at list prices much lower than those for similarly spectacular properties in the U.S. or Canada. Add in much lower property taxes and a much lower cost of living, and that, in a nutshell, is the appeal of the real estate market in Cabo San Lucas. But besides the extraordinary value and investment potential, there’s something else that makes Los Cabos so attractive. It offers the very best kind of privacy. What exactly does that mean? It means you’re about 1000 miles from the U.S. border and all the stresses you’re trying to escape, but you still have easy access to an international airport in San José del Cabo–as well an airport for domestic carriers and private jets in Cabo San Lucas–if you’d like to visit friends or family, or invite them down to see your new dream home. 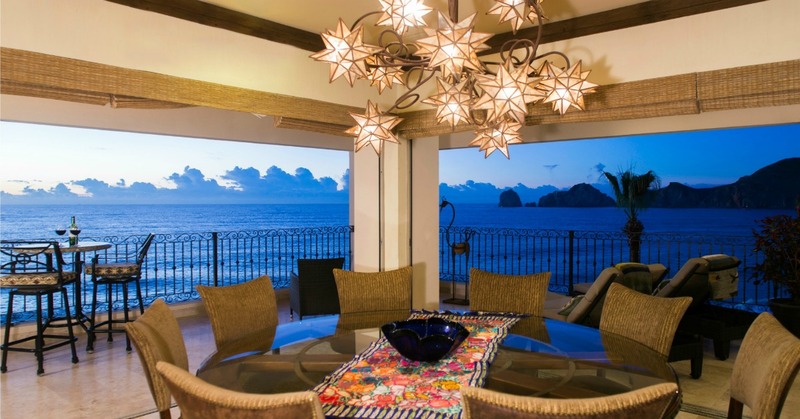 It also means now might be the right time to take a serious interest in the Cabo San Lucas real estate market. 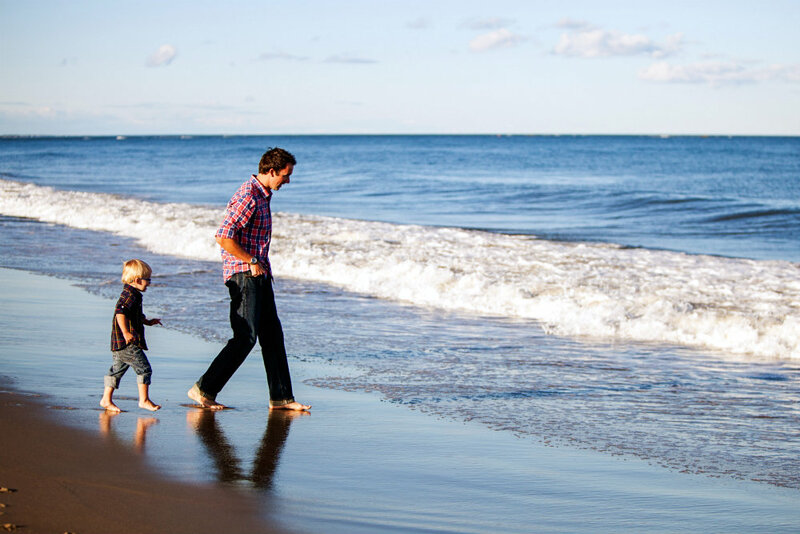 Whether you are seeking condos, villas or Oceanfront Living, it is absolutely essential that you choose the right ally to help you navigate the entire process, from site visits to closing costs. 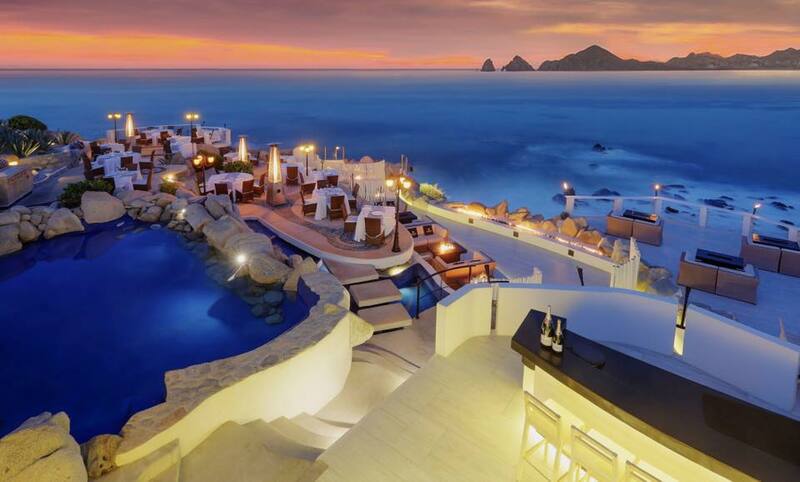 Few places on the planet are more synonymous with romance than Los Cabos. Perhaps Paris, but let’s be honest: How many palm trees are there in Paris? Cape cities Cabo San Lucas and San José del Cabo have all the sun-kissed romantic attributes anyone could ask for, from swaying palm trees and horizon-stretching ocean vistas to golden sand beaches perfect for hand-holding perambulations or side-by-side horseback rides…plus all the luxurious over-the-top amenities you would expect from a major metropolitan area. 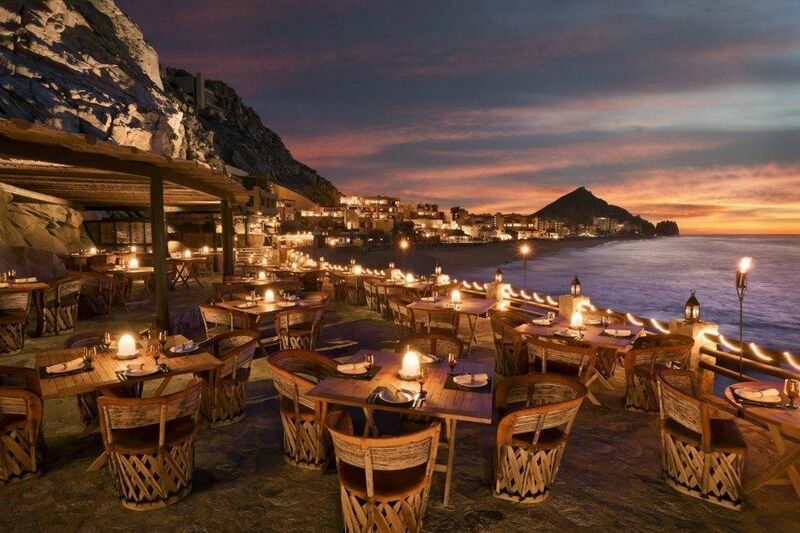 When it comes to the most romantic day of them all, however, what Los Cabos does best are dinners. Tables for two, either in the sand or on a nearby terrazzo, with candlelight, mood music, multi-course pairing menus, and of course some of the most spectacular views you’ve ever seen in your life. With that in mind, here are the three most romantic Valentine’s Day dinners in Los Cabos for 2019. There’s a very good reason this place employs an onsite wedding coordinator, and hosts over 100 destination nuptials per year. The views are so breathtaking as to defy description, but what else would you expect from a place located at Sunset Point? Just how magical is it? Imagine looking out across a cerulean blue swath of Sea of Cortes towards a half-mile Land’s End promontory comprised of ancient granite monuments and sculpted beaches as the sun explodes in a fiery red ball and descends beyond the distant horizon. Trust us: Someone just proposed reading this. The food is nearly equal to the majestic views, particularly on Valentine’s Day, when the fine dining restaurant offers sunset seatings for a six-course prix-fixe menu, with accompanying ballads from romantic tenors and an acclaimed violinist. If you’re not in the mood for a large meal, pair oysters and Champagne on the adjoining Taittinger Terrace. A benchmark resort in Los Cabos for over 50 years, Palmilla employs no less than five dozen gardeners to keep its paradise-like grounds manicured to perfection. Consider that a sign that everything here is of the highest possible quality. Celebrated French Chef Jean-Georges Vongerichten hosts the resort’s most elegant Valentine’s Day feast, a four-course epicurean delight that pairs the upscale steakhouse fare of SEARED with Grand Cru Classé wines and vintage Champagne. Like the wines, the muy romántico moonlit views of the Sea of Cortés are also in a class by themselves. As you may have noticed by now, stunning views are as much a part of the romantic dining experience in Los Cabos as culinary mastery and sommelier-aided wine pairings. El Farallón, the signature restaurant at the five-star Resort at Pedregal, takes a backseat to no one in this regard. Set on the edge of a cliff above crashing Pacific Ocean waves, with magnificent views of Land’s End, this place drips romance. It doesn’t hurt a bit, of course, that Executive Chef Gustavo Pinet and his staff serve up the finest market style seafood in Cabo San Lucas, and that like Sunset MonaLisa, El Farallón features its own dedicated Champagne Lounge. Reservations are a must for El Farallón, as they are for SEARED and Sunset MonaLisa. What? 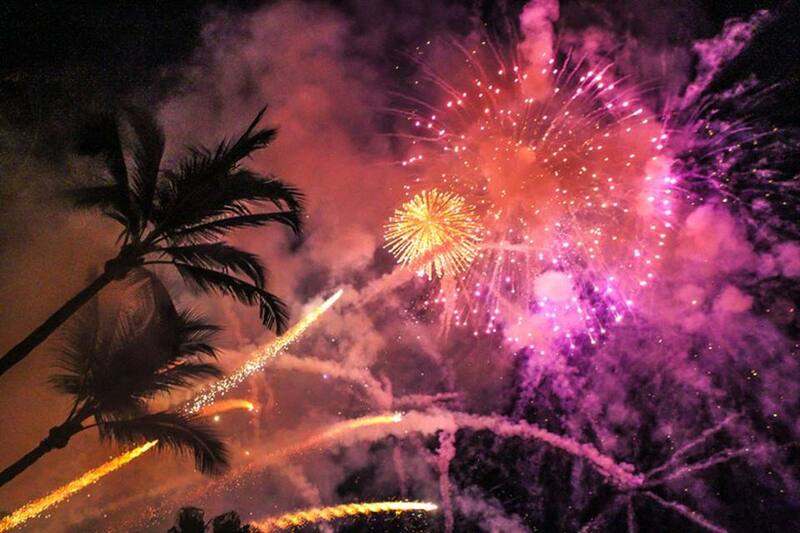 You thought you were the first one to think of spending Valentine’s Day in paradise?